Over the past four years, Phoebe has worked with people from a wide range of communities and contexts. With extensive training and collaboration with artists and organisations across UK, Phoebe has developed and honed her creative participant lead music making. Her work ranges from found sound film scores with SEN/D schools to songwriting with adults with mental health problems, to improvised music making with teenagers in a psychiatric ward. Using music to encourage and develop confidence, communication, social interaction and self expression, Phoebe repeatedly experiences the transformative power, creative music making can have. Phoebe has worked with a range of diverse arts organisations, including Drake Music, Mouse Trap, Green Shoes Arts, TDLP, A Little Learning, Create Arts, Southwark Play House, Animate Orchestra, Sidney De Haan Centre, Emergency Exit Arts, Kent Music Hub and Discover. 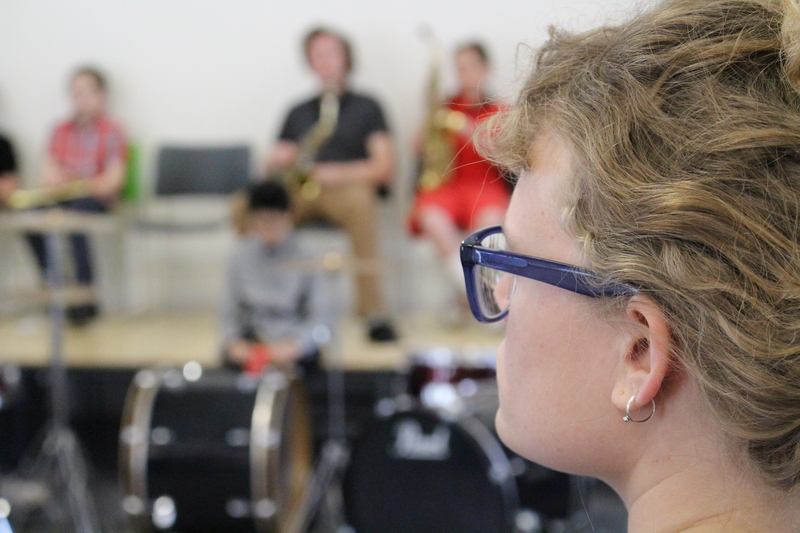 Phoebe has been an Associate Musician for organisation Drake Music, who break down disabling barriers to music through innovative approaches to learning, teaching and making music. Using technology such as i-pads, soundbeams, makey makey’s and switches in combination with traditional instruments, Phoebe has co-trained teachers and carers as well as leading sessions to create meaningful music making with a legacy. Projects have included Crossing Into Yesterday, Ramp It Up!, Colchester Sound, City Of London Festival and Songs For All (Also created and managed by Phoebe). 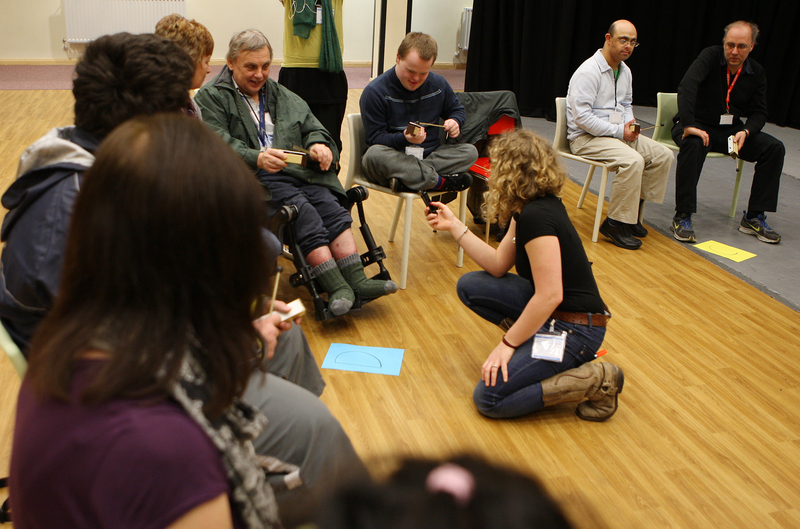 Phoebe works with Southwark Playhouse working in a team of cross arts facilitators to create creative workshops. Most recently this involved making a film with a small group of boys with EBD within a mainstream school, and a class with profound and multiple needs from the neighbouring SEN/D school. The Four Oxen – Stronger Together from Phoebe Osborne on Vimeo. St James’ school and Cherry Tree School – a short film based on Aesop’s Fable – The Four Oxen. 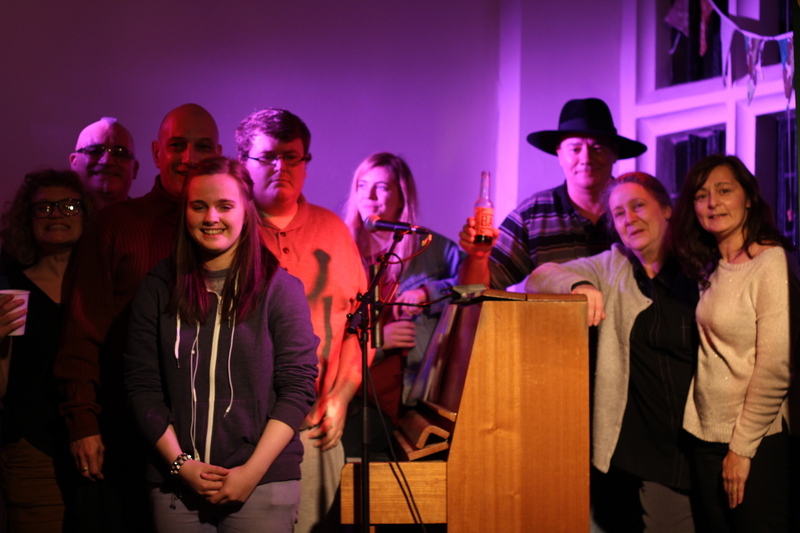 Music – Phoebe Osborne, Film – James Coyle, Dance & Drama – Alice Mackenzie. Sound track created from participants’ found sounds. July 2014. Phoebe has been leading the music programme for Green Shoes Arts for 2 years. work with vulnerable adults (self referrals) in song-writing and music making weekly sessions to increase their confidence and social interaction whilst providing fun and creative activities that lead to an informal performance and recording. We are currently working with Theatre Company Punch Drunk to create multi sensory art installations for an interactive performance in Heritage building, Eastbury Manor, Barking. Phoebe delivers song writing and singing workshops for Sound Mix and theatre group Re:act, who work with Refugee Action to provide accessible and engaging music sessions that celebrate cultural difference and provide a platform to meet friends whilst developing skills and confidence. 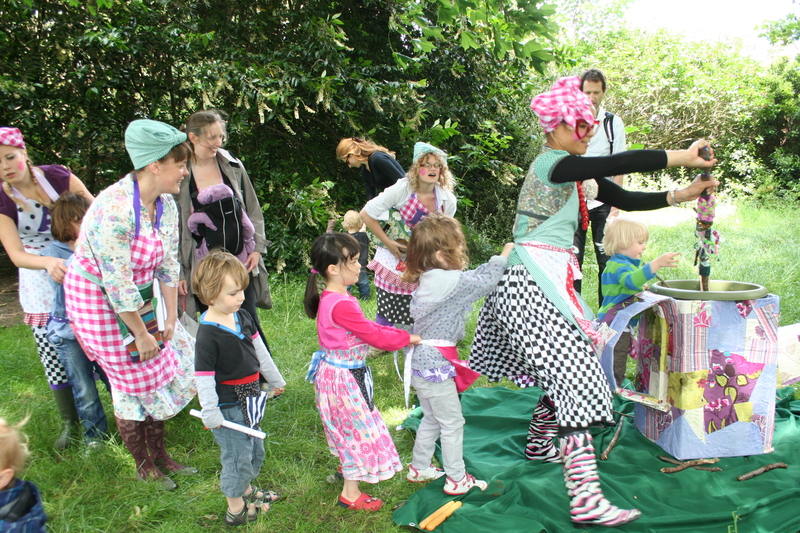 Phoebe works with song, actions, percussion, musical games and instrument making with under 5’s and families through organisation, Tea Dance For Little People and Discover. Activities are entwined in changing themes and focus of self-discovery and improvisation. Phoebe has also developed and lead Singing Around the World – a series of singing workshops for families, focusing on learning songs from different cultures in fun and accessible ways. Phoebe has been teaching 1-1 since she was 15, and has worked with all ages and abilities, teaching grades (100% pass rate), composition and a wide repertoire tailored to different learning styles and instilling a love of music in her students.